What a surprise! 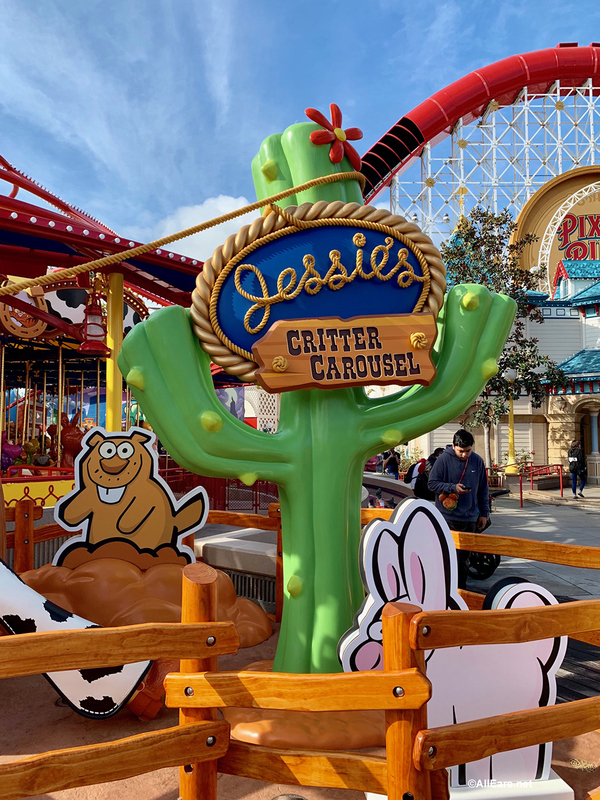 Our visit to Disneyland‘s California Adventure included the discovery of an uncovered Jessie’s Critter Carousel — slated to open in April! Construction walls have been up around this area until today. 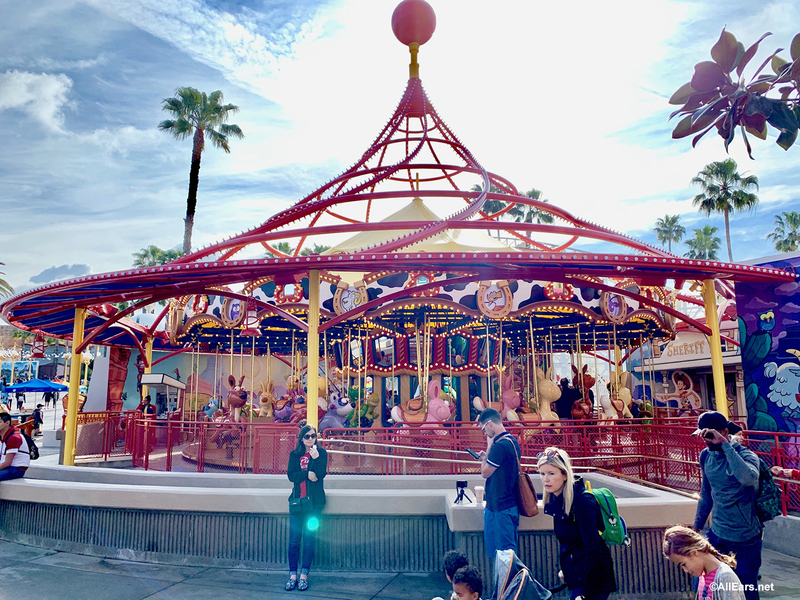 The carousel is not operating yet — but after seeing it in person we can’t wait to go for a spin. Jessie’s Critter Carousel joins Pixar Pier, replacing King Triton’s Carousel of the Sea. 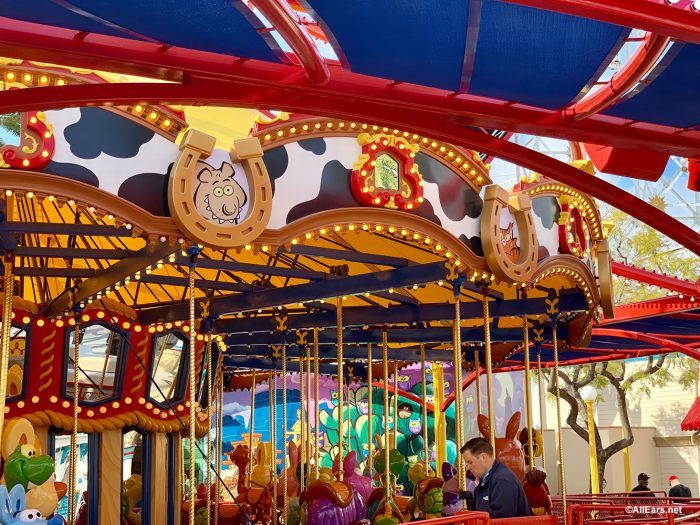 It looks like the ride is generally the same — just a whole new theme and decor. 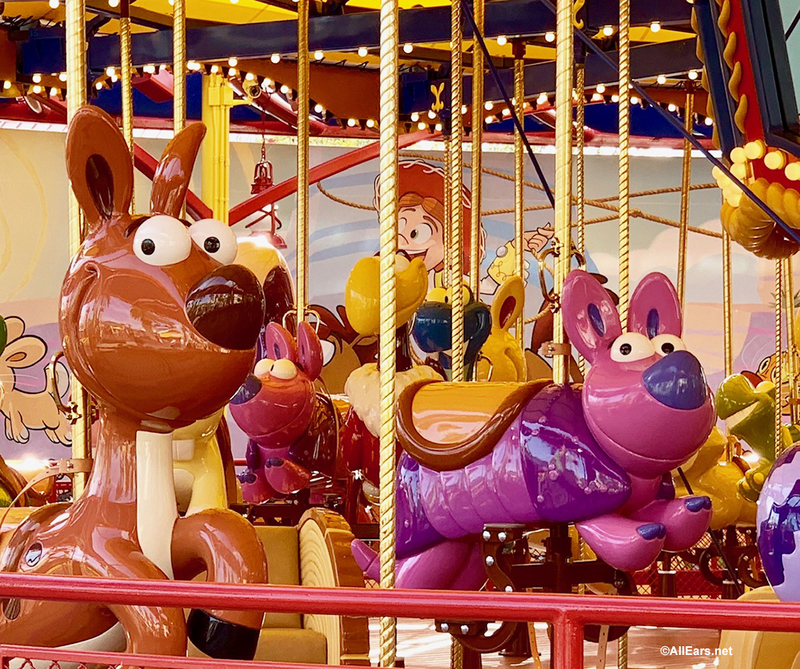 It looks like we’ll be choosing being a spin on an armadillo, buzzard, turtle, or even a snake — plus more critters that Jessie has gathered together. Which varmint will you choose? When testing is complete the ride will open to guests, although no exact opening date has been announced… yet. Read more about Jessie’s Critter Carousel here! Are you excited to see this addition to Pixar Pier? Let us know in the comments below. 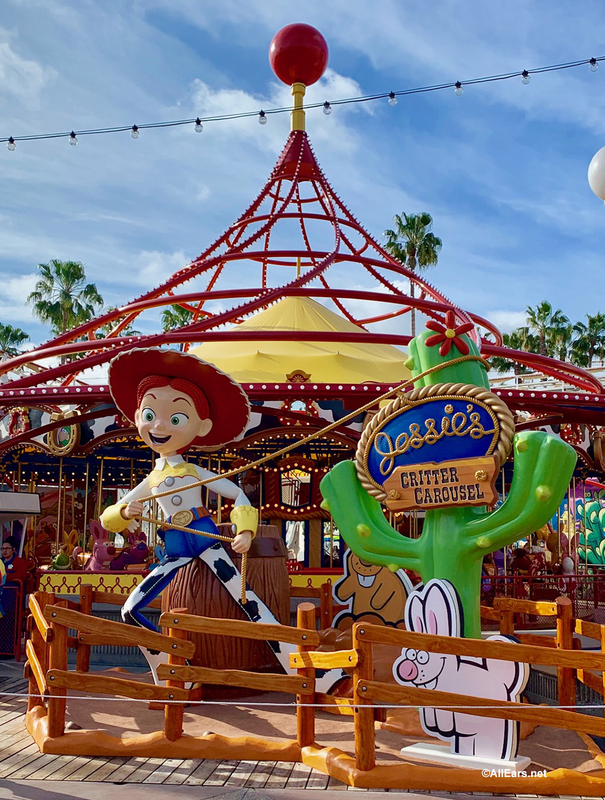 Stay on top of all the Disney California Adventure news! Click below to subscribe to the AllEars® newsletter!